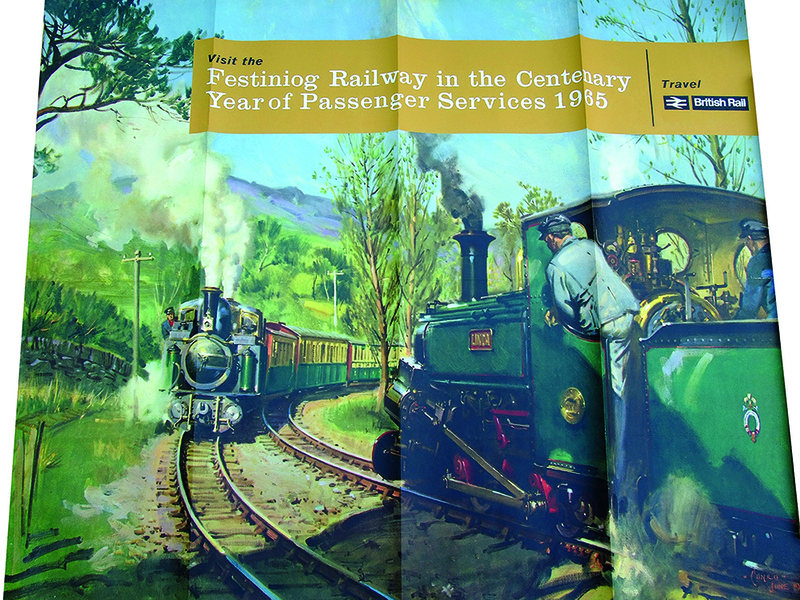 Poster 'Visit The Festiniog Railway In The Centenary Year Of Passenger Services 1965' by Cuneo. Q/R size depicting a pair of locos including 'LINDA' passing each other in the woodland. Printed by Waterlow. Folds and two 2 clean tears on right side.